Join Mr. Xplorer Curation Trail To Earn Curation Reward and Upvotes! 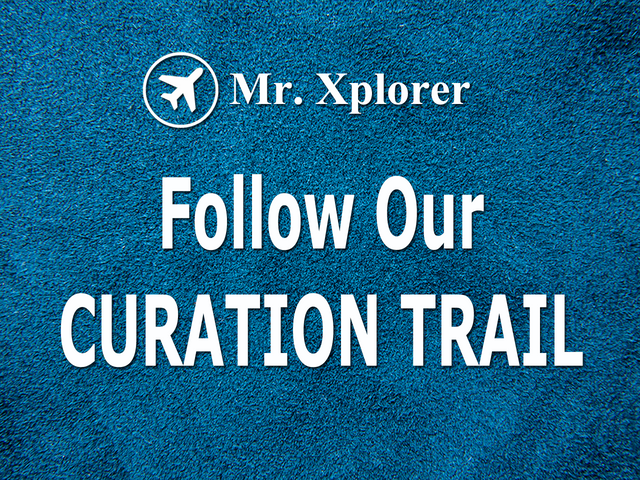 Join Mr. Xplorer's curation trail and get rewarded. You just need a steemauto account. By following our curation trail, you agree you automatically upvote any post @mrxplorer upvotes. Benefits of our curation trail. Receive upvotes from @mrxplorer and trailers. Login to your steemauto account through steemconnect. Go to curation trail and search mrxplorer then click follow. Modify the settings base on your desired time and percentage. Click view active follower to show the list. You are now part of @mrxplorer curation trail! AVIAL OF OUR UPVOTE SERVICE AND GET UPVOTE FOR LIFE. In order to grow our community, please upvote, follow and resteem this post and tell your Steemit friends about this upvote service. Donations and Deligations are welcome!